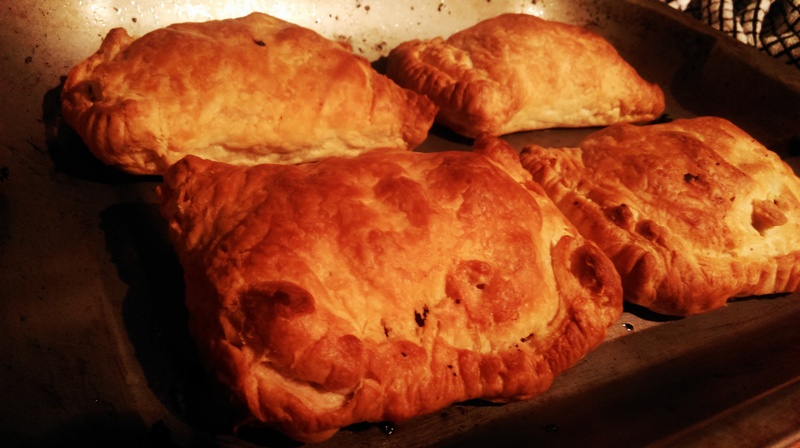 For the uninitiated, “pasties” began as a way for Miners to have a hearty yet practical meal while working underground. Their fillings tend to be drier than a pie, replacing sauce with…well…more fillings. 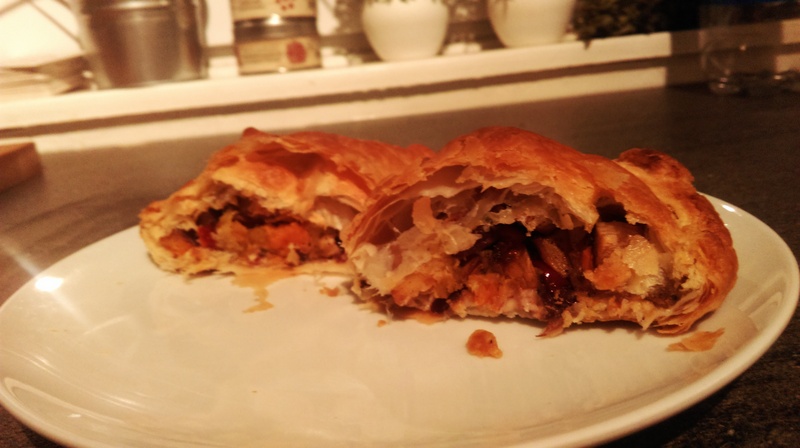 This pasty utilises some great Autumn flavours – notably Squash, cranberries and those wonderful root vegetables. The real star of the show here is the Harlequin Squash. 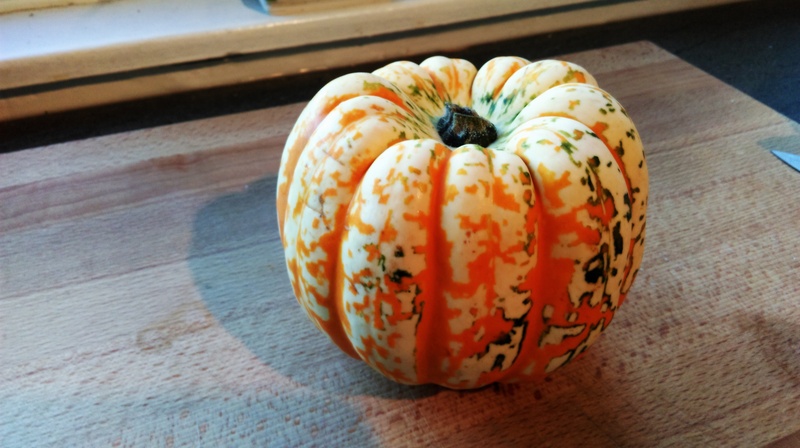 Having the appearance of a small, paler pumpkin it appears in markets in the later part of the year. Despite it’s small size there’s a decent amount of flesh on it, and the flavour is absolutely divine – sweet but with a bite, as though it’s already been seasoned. If you can find one, I wholeheartedly recommend using it! As for the pastry, feel free to use different varieties. I used a shop bought puff because it’s my favourite pastry but for the love of me, I can’t stand making it. 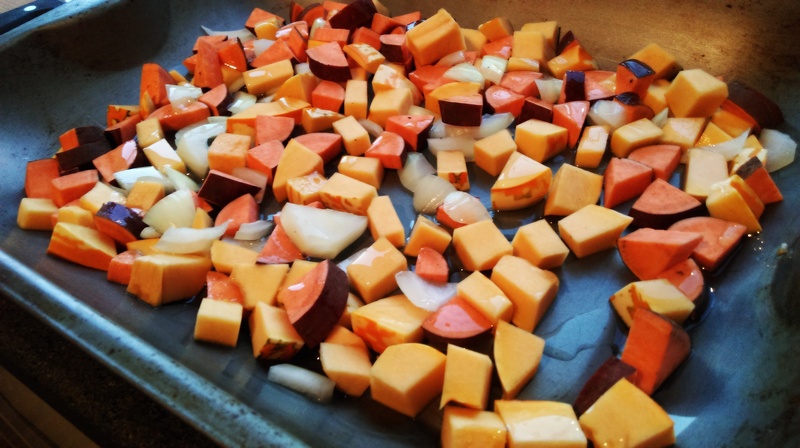 Root Vegetables – Carrots, parsnips, sweet potato etc. Squash – Harlequin if available but others will work. Try pumpkin! 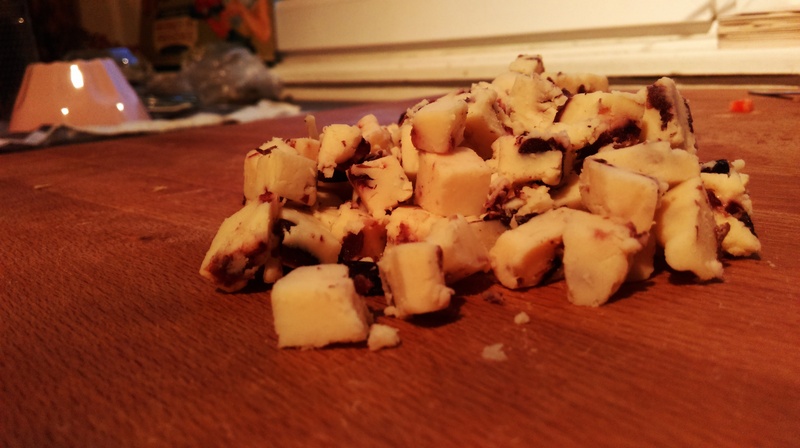 Wensleydale (the variety with cranberries if available, if not add cranberries amongst the cheese at stage. Coat well in oil and herbs and spread out onto baking trays. Roast in the oven until they’re crisp on the outside but soft on the inside. 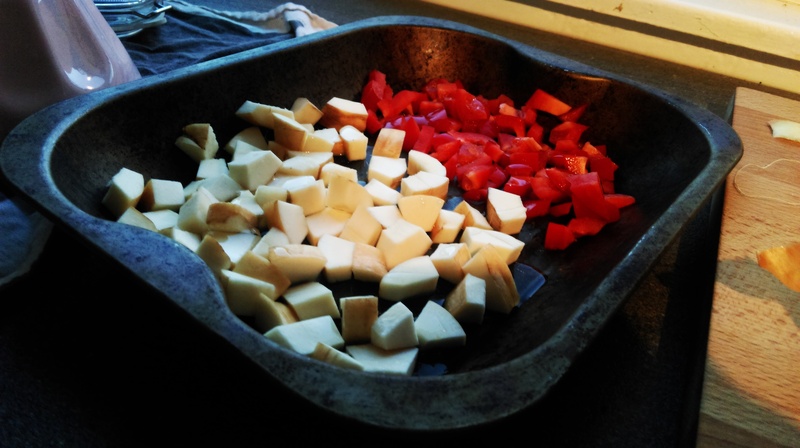 Put similar vegetables onto similar trays as their cooking times will likely correspond. 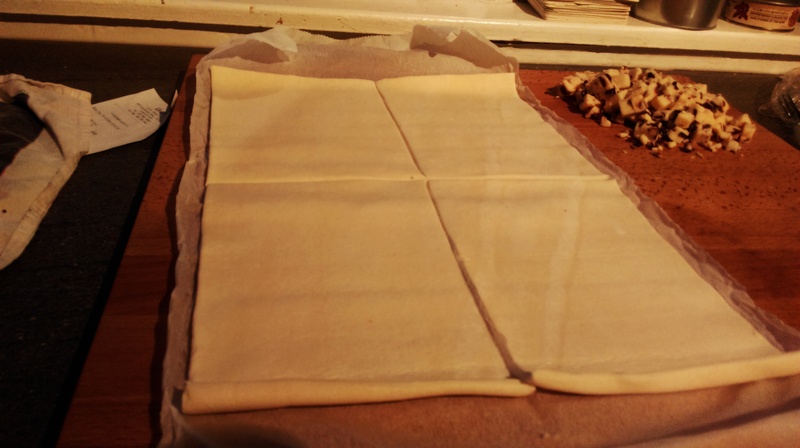 separate your pastry into equally sized rectangles, the size is really up to you. Are these meal substitutes or snacks? The choice is yours. Mark a gentle line half way up the pastry rectangles to show where you will fold over. 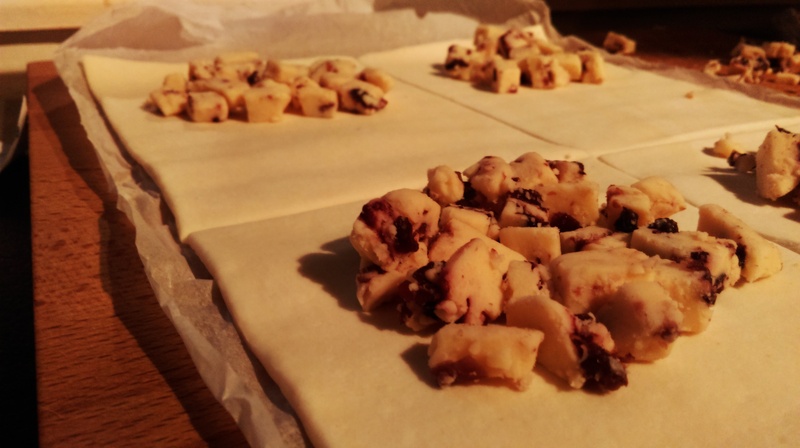 Put the wensleydale and cranberries onto the pastry in the upper half of each rectangle. Try not to spread them closer than 1cm to the edge so they don’t leak out. 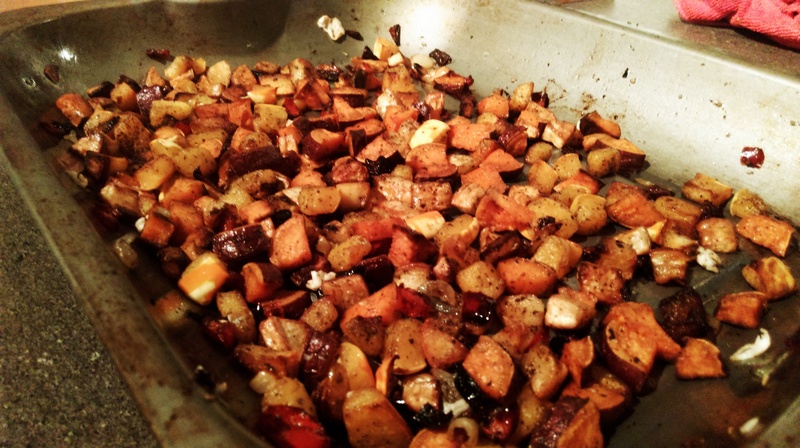 When the roasted vegetables all seem cooked, mix them all together. Put heaped servings of the vegetable mix on top of the wensleydale and press down, getting as much in as possible. 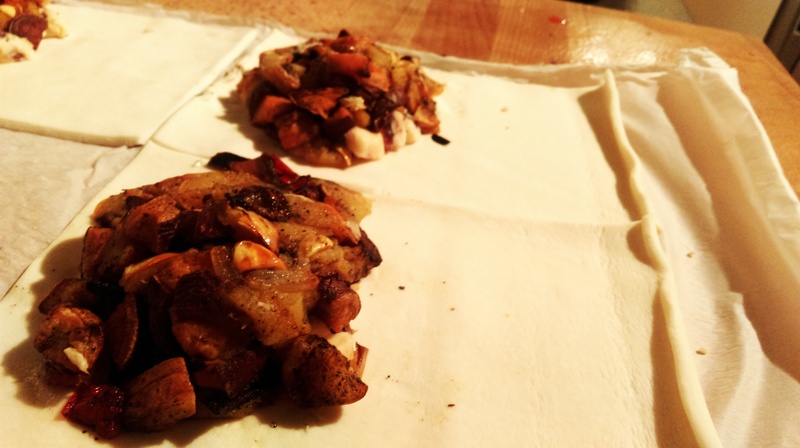 Fold the uncovered pastry half over the filling and crimp down the edges. Bake in the oven until the pastry is cooked to your liking – the filling is already done! These work great as a meal, a snack or smaller versions as a party spread. I really can’t think of anything I’d serve with these, besides a bit of brown sauce. 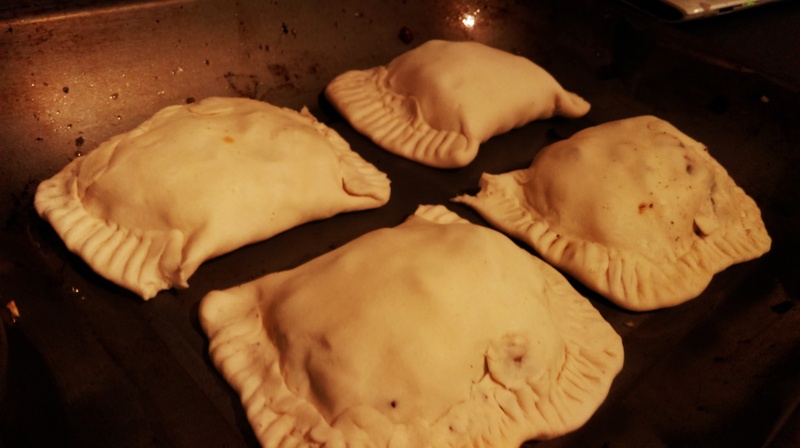 They keep in the fridge for a few days, but when reheating it’s best to do them in the oven (covered in tin foil) for 10 minutes or so. Microwaves would only make them soggy! Posted in Guesscipes, Mains, Sides and Snacks, VegetarianTagged autumn, baking, cheese, cranberries, guesscipe, parsnip, pastry, pasty, recipe, root vegetables, squash, sweet, sweet potato, Vegetarian, wensleydaleBookmark the permalink.